Two election computer systems in Arizona and Illinois are being investigated by the FBI over a suspected hacking. It comes after officials in the two states confirmed that their systems had been the subject of frequent cyber attacks in July with 200,000 voter details hacked in Illinois. The investigation by the FBI has come after rumours that a Russian hacked the Democratic National Committee which leaked thousands of emails discussing the election campaign. The FBI has warned that the election computer systems are now at high risk of hacking, potentially including by international threats. The hacks in July signified a change of attack by hackers, switching from individuals and companies to specifically targeting electoral computer systems. Cyber security experts, when approached by the Financial Times, suggested while it was possible hackers could seek to alter election results, voter registration records were likely the most attractive target as these contained personal information such as addresses and social security numbers. The states of Illinois and Arizona shut down their voter registration systems in mid-July on advice from the FBI. 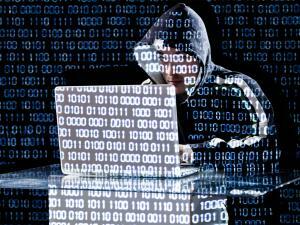 This listed a number of suspicious IP addresses and tools used by hackers. The warning came after hackers got away with information from up to 200,000 voters. Ken Menzel, general counsel of the Illinois State Board of Elections, said that while the hackers were able to access information on voters, he is “highly confident that no information was added, deleted or altered”. In an interview with the Financial Times, Andrew Appel, a computer science professor at Princeton University, said that the likely target was through the touchscreen computers. However, he went on to state that “the good news is our election system has many checks and balances, so we don’t have to trust the hackable computers to tell us who won”.